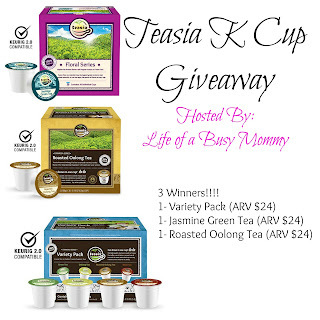 Enter to win Tesia K Cups ! Three winners on this giveaway!! 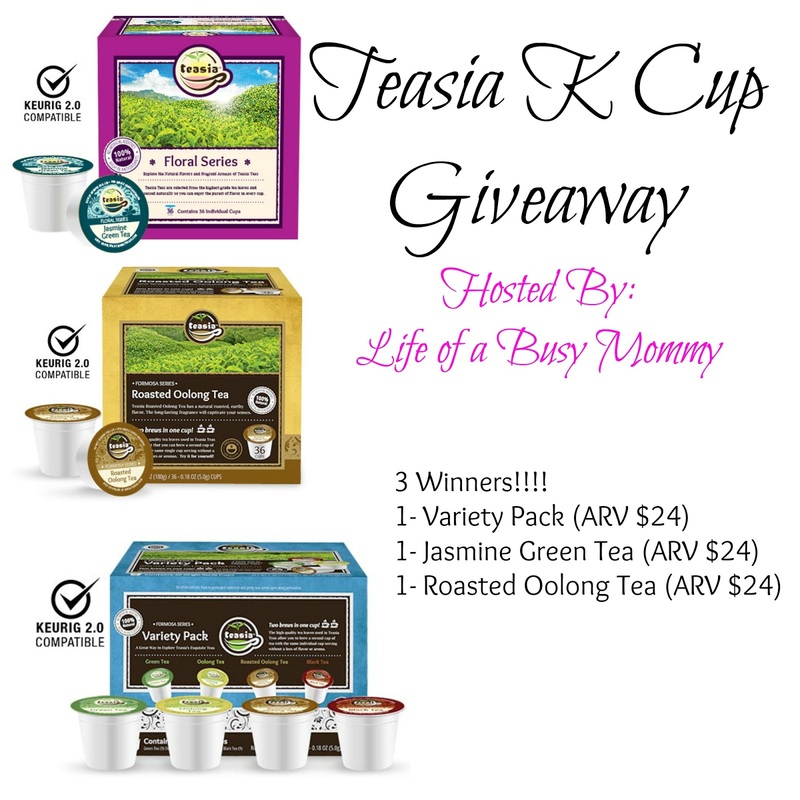 Each one will win a box of Tesia K Cups!! Make sure to read the full review here for more information on Teasia. Teasia has been gracious enough to offer 3 boxes of tea for my readers. There will be 3 winners, and each person will get one box of Teasia K Cups. So enter below, come back daily for additional entries, and of course check back on October 24 to see if you were one of the lucky winners. I love trying new teas! I love my keurig and great tea in it would be so perfect! I absolutely love tea (may be that I am pretty much English though LOL) and with the seasons turning towards fall and winter I tend to engulf more of it both at home and at work morning, noon, and night. Always on the lookout for new and different ones. Never tried Tesia and would love to! Thank you for visiting my blog today and wishing you ton’s of luck!! I feel the same way about our Keurig, we would be lost without it! Just wanted to say, thank you for your entry and of course wishing you lots of luck!! This looks like fantastic tea! I am just a collector of kcups, so these teas would be a nice addition.